It is never too late to do the right thing, and when it comes to lottery jackpots no action is too extreme, if the end result is reclaiming a significant amount. A 41 years old woman from Louisiana learned this lesson the hard way, after she threw a winning ticket to the garbage bin, assuming that it was a losing one. Fortunately for her, she didn’t mind getting her hands dirty for the sake of recovering a $10,000 lottery ticket. A New Jersey lottery winner has only a few days left to claim an amount 100 times larger, before the deadline comes and the money goes to state coffers. 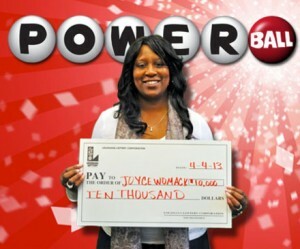 The winner assumed that the Powerball ticket she purchased two weeks ago was a lost one, and threw it away without even checking the numbers. Luckily for her she realized the mistake before taking the trash out and much to her surprise she discovered that she matched 4/5 numbers. She had no idea how much money this performance will award her with, and she had to wait for a Louisiana lottery official to inform her. After taxation, she will receive $7000, which would be more than enough to pay outstanding debts and slightly boost the savings account. 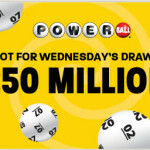 The Louisiana resident is a casual Powerball player, and apparently one that doesn’t count on winning the lottery. 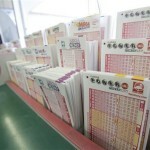 It comes as a surprise that she chose to throw the ticket away without even comparing the numbers against the winning ones, but lottery officials confirmed that this occurrence is not as rare as some might think. She purchased the tickets from a lottery vendor or at Kentwood Plaza, and the one who sold it to her will also receive a compensation worth 1% of her prize. 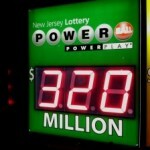 A New Jersey lottery player needs to hurry up if he wants to claim a $1 million jackpot set to expire on May 17. The ticket was sold in South Brunswick Township almost one year ago and so far nobody came forward to claim the money, so lottery officials urge players to double check their tickets. The winning numbers were 3, 7, 21, 28, 43 and the Powerball number was 2, so those who find these six numbers on their old lottery slips shouldn’t waste any time and claim what is rightfully theirs. Lottery officials can only speculate about what might have happened with the winning ticket, but the case of the Louisiana winner who threw her ticket away comes to mind. The second tier prize in the Powerball will award the winner in excess of $600,000 after taxes, unless the player fails to meet the deadline in which case the money is forfeit. 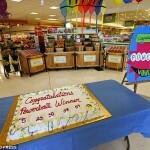 Check out the Canadian woman wins $40 more than expected as well.